I have kind of fallen in love with this phrase (or Polish proverb, so it seems) because it sums up my relationship with this community rather beautifully. There are days I watch the lovely insanity of this town - the political chicanery and the moving of the chess pieces, the rather odd little Facebook groups where everything goes, nothing goes and all is confessed, and all the other absurdities, and I quietly divide them in my head into not my circus, not my monkeys categories of concern. The only trouble is that this town IS my circus and these ARE my monkeys, for better or for worse because I have chosen this place (or it has chosen me, I still haven't quite worked that out yet). Every news article, every radio story, every event, every person...they contribute to this circus and the occasional monkey-house atmosphere of the joint, a sort of gentle insanity of a place that bubbles over and simmers down just as the price of oil does and that is endlessly and ceaselessly entertaining for an observer like me. My new running joke these days is about the book I can only publish some day when I have left this town, filled with stories I could never tell while still here as life would become uncomfortable at best. It is only a joke to some degree as some day I will publish that book and the stories are already being written, all about this circus and these monkeys. Except the trouble is that I am not just observing this circus, no casual guest in the stands watching it all unfold in the rings in front of me. No, somehow along the way I have become one of the monkeys. I was sitting in my car driving home one day last week and shaking my head over the latest bemusement/amusement of local politics. I could not help but smile and think about my colleague's sign, but I had to change it up a bit to make it suitable for my thoughts. 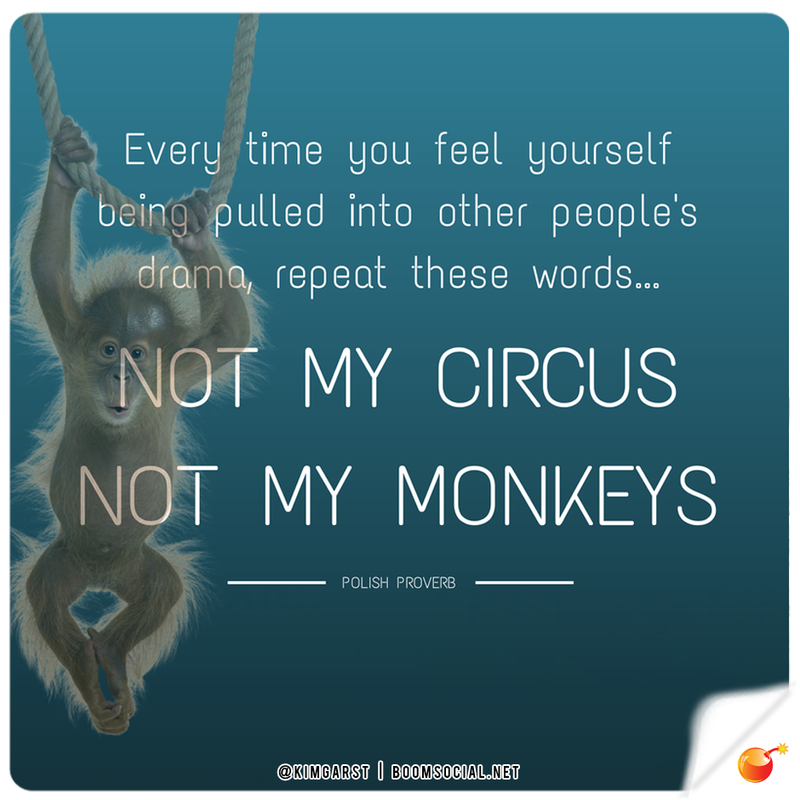 You see this is my circus, and these are my monkeys, thank god. I can't actually imagine it being any other way, because what an incredible circus it is to witness - and how lucky I am to be just another one of the monkeys.